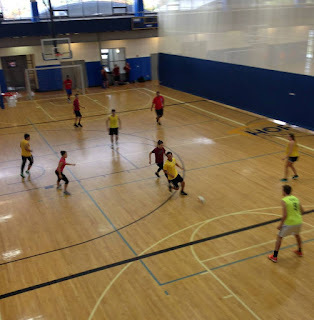 Last month, the International Student Affairs Office collaborated with Recreation & Intramural Sports to host Hofstra's first ever Soccer World Cup. 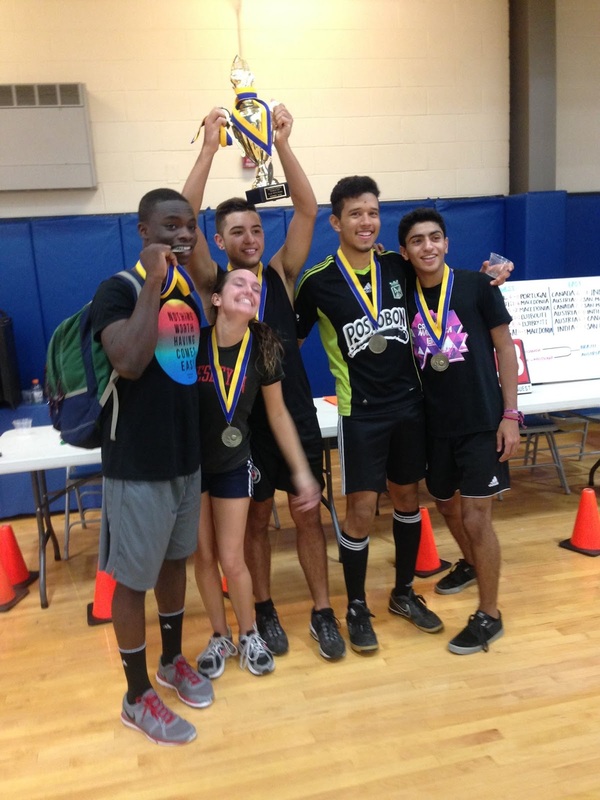 On Saturday, October 24 eight teams competed in a co-ed indoor soccer tournament for the chance to win the Hofstra World Cup trophy. Each team of five to eight students represented a country from around the world. The countries participated in the tournament were India, Portugal, Brazil, Canada, Djibouti, Macedonia, Austria and San Marino. After fourteen fact paced officiated games, Austria, Brazil, Macedonia and Canada made it to the championship round of semi finals and finals. Team Austria were crowned the World Cup Champions by beating Brazil by 6-3. 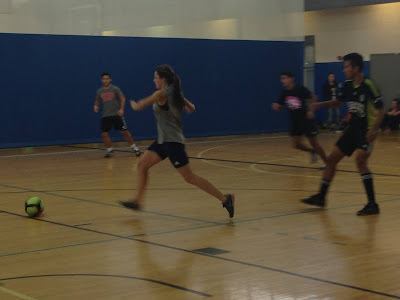 Cassio Daros and Katie Krahulik, both represented Austria, walked away with the title of Most Valuable Player Male and Female for scoring 11 goals and 2 goals respectively. It was a day filled with great soccer, great sportsmanship, and amazing players from all around the world.